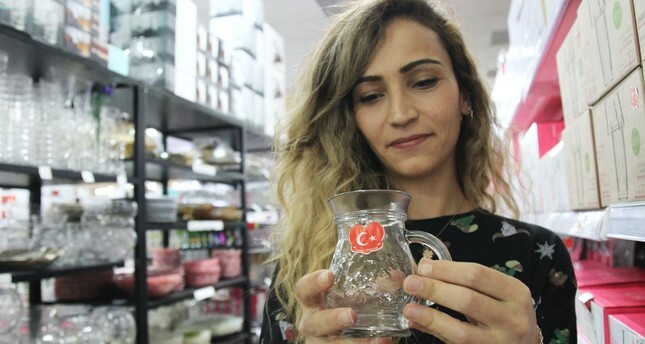 The labels on products made in Turkey will have distinctive shapes, logos or signs as assigned by the Trade Ministry as part of efforts to promote the sales of domestically produced products and contribute to economic stability by controlling unjust price fluctuations. In a written statement released by the Trade Ministry, it was stated that the retail price, unit price, the property and the place of production of the goods and services offered for sale as retail are regulated in the Law on Protection of Consumers and Price Tag Regulations. The ministry aims to regulate the procedures and principles related to sales. Price tags are required to display the unit price and the dates of any price change on any services offered for sale as retail. The latest regulation comes as part of measures to protect the economic interests of consumers. The ministry’s statement noted that recent price fluctuations have led to further regulations in the price tag legislation in favor of the consumers, as well as the necessity to take additional measures. The regulation is also welcomed by consumers’ associations as it will prevent speculative overpricing on goods on the basis of currency volatility and show any dates on which prices are changed. The ministry also aims to promote the consumption of locally-produced goods in issuing this regulation. The trade ministry’s regulation will take effect within 15 days.